I'm going to keep this short and sweet because you should be eating delicious turkey with family. I just wanted to show you my turkey nails and let y'all know that I'm thankful for each and everyone of you that visits my little corner of the internet. I love sharing my hobby with you all, thanks for letting me do that. 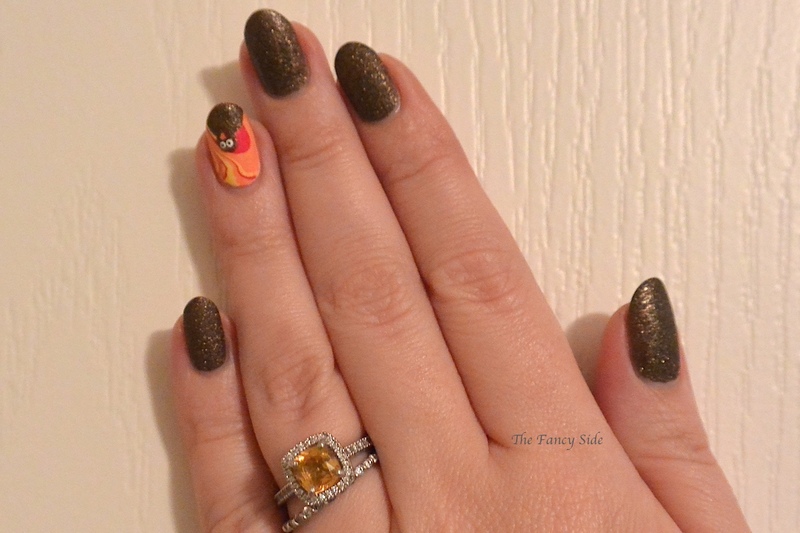 This is another on the go mani, so please excuse the photos. Here is my Thanksgiving turkey. 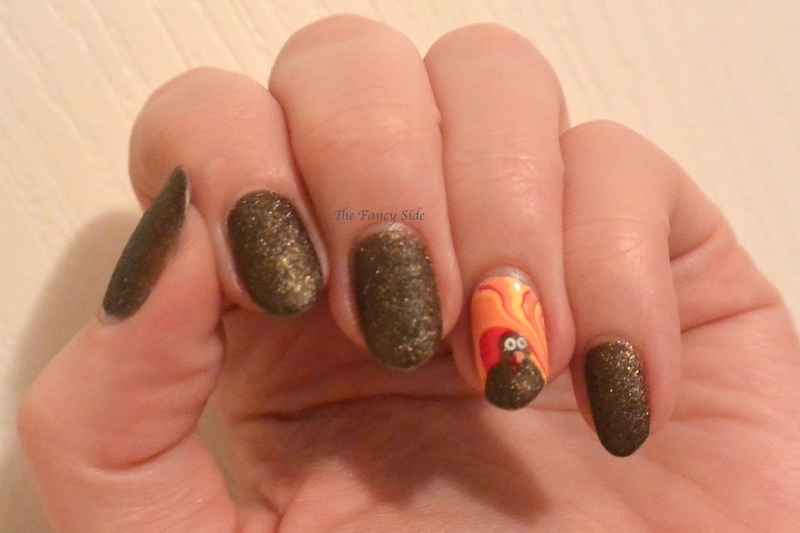 The watermarble was supposed to be his feathers, but I just couldn't get it to look like my inspiration. Colors used are: OPI What Wizardry is This? 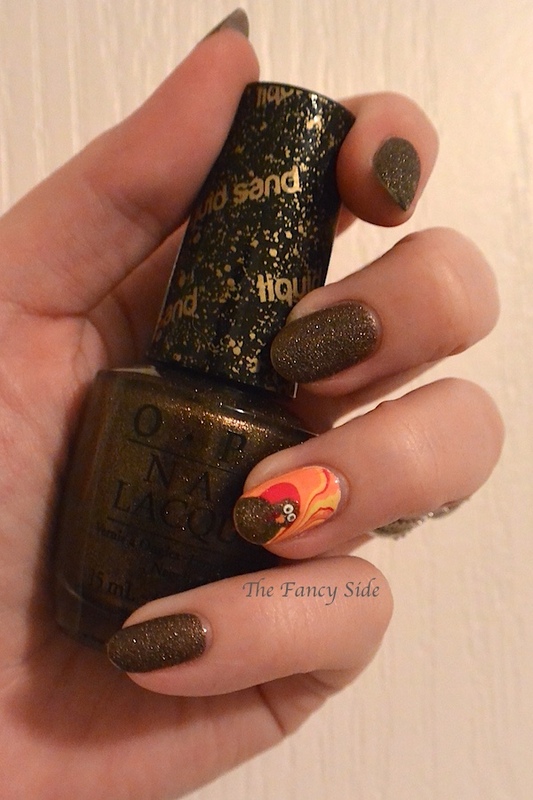 (liquid sand), OPI I Just Can't Cope-acabana (yellow), OPI A Oui Bit of Red, OPI Where Did Suzi's Man-go? (orange), Sinful Colors Snow Me White. A Oui Bit of Red, I Just Can't Cope-acabana, OPI, Sinful Colors, Snow Me White, What Wizardry is this?, Where Did Suzi's Man-go?